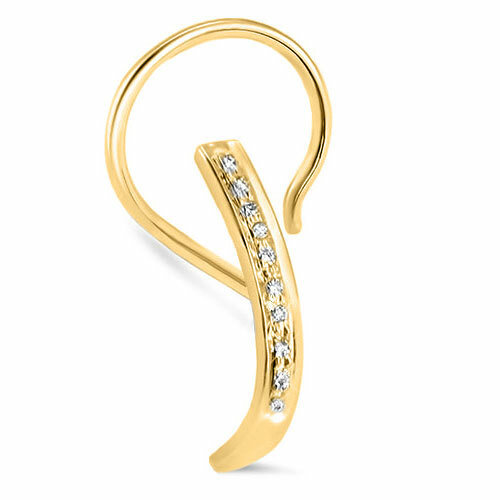 14KT Yellow Gold stud that measures 2.3mm wide with a length of 12.5mm. This is a stunning piece and has 9 genuine diamonds that measure approximately 1.2mm each. The beauty of this stud could not be captured by digital photography, it's gorgeous!